The Arabic language ranks in the top 5 spoken languages of the world. There are more than 350 million people that have the Arabic language as their mother tongue and they spread from the Arabian Peninsula across the Fertile Crescent and on to the Atlantic Ocean. Over 17 countries adopt Arabic as their official language: Saudi Arabia, Yemen, United Arab Emirates, Oman, Kuwait, Bahrain, Qatar, Iraq, Syria, Jordan, Lebanon, Egypt, Sudan, Libya, Tunisia, Algeria, and Morocco. The business of dubbing in the Middle East flourished in the 90’s when FILMALI Productions, the first dubbing company in the Middle East introduced a series of dubbed South American soap operas that became instantaneous hits among Lebanese families. Soon after, satellite broadcasting allowed for dubbed soap operas to access the Arab world reaching up to 300 million viewers. Dubbing Soaps was considered a very lucrative business, but since the hype in the 90’s it has regressed and the demand shrunk considerably. A new trend is picking up and that is the dubbing of video games into spoken Arabic. And DeafCat Studios are pioneers in this domain. FILMALI Productions always delivered high quality dubbing services. The company was determined to provide a high quality product which in turn led them to form a staff of translators, actors, lip-synch and mixing engineers, and of course studios equipped with the latest recording techniques that delivered astounding results. The focus on quality, led FILMALI Productions to land big contracts with international companies such as Disney, ART and MBC, and following the tradition DeafCat Studios are determined to provide professional quality dubbing in an affordable price. The Middle East is a part of the world that is experiencing a tremendous social and economical growth due mainly to the amount of wealth the petro dollar brings to this region. One can safely say that countries like the United Arab Emirates and Saudi Arabia are experiencing exponential growth in all sectors, and are expected to flourish even more since the demand for oil is ever increasing. An article published in the MENA Report stated that: “The Middle East has been identified as a major contributor in the fast growing electronic gaming industry which is predicted to grow from USD 11.1Billion to USD 15.4 Billion by 2011 in Europe, Middle East and Africa (EMEA)” according to a report by Pricewaterhouse Coopers LLP and Wilkofsky Gruen Associates. The petro dollar has ensured stability and wealth to a number of families in the GCC countries and opened the opportunity for work to a lot of companies in the Middle East. At the same time, the major investment in the gulf has attracted a number of expats coming from all around the world transforming the region into a multicultural booming society. The Middle East has the leading user growth since 2000 which is mainly due to the increasing investment in Internet infrastructure by rich countries like KSA and UAE. There is a global awareness about the importance of the Internet and the market opportunities that it has created. DeafCat Studios are devoted to provide their clients with the most efficient tools that will guarantee maximal user reach to video game products dubbed into spoken Arabic. Since the broadband infrastructure has hit the Middle East a couple of years ago, a regional awareness about the potential and affordability of internet marketing pushed companies to include online advertisement in their global marketing strategy. All the signs show that the online advertising expenses are expected to grow in the next couple of years: “Online advertisement spending in the Arab region is expected to grow in the next 5 years that would bring the total online ad value to about $142.08 million by end of 2011” a new study by Madar Research reported. Opportunities for international businesses to expand in the Middle East are at their best. The MENA region is the fastest growing single-language region in the world. Therefore, businesses worldwide are considering to find and invest in emerging businesses in the region. Our competitive edge at DeafCat Studios is our collaboration with Eastline Marketing an established Arab-speaking company with genuine international expertise that understands regional clients and can provide them with the latest online marketing services that will target mainly Arab customers. We have built an extensive database of websites that allows us to geo-target a maximum number of Arab users according to their Age demographics, psychographics and online behavior. 49% of the online users in the MENA region are under twenty five years of age. 33% of the online users in the MENA region are between 26 and 35 years of age. 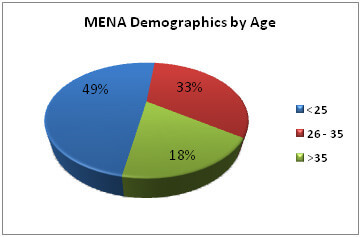 The rest of the online users (18%) in the MENA region are over 35 years of age. It is important to note that the purchasing power is divided between these three groups. 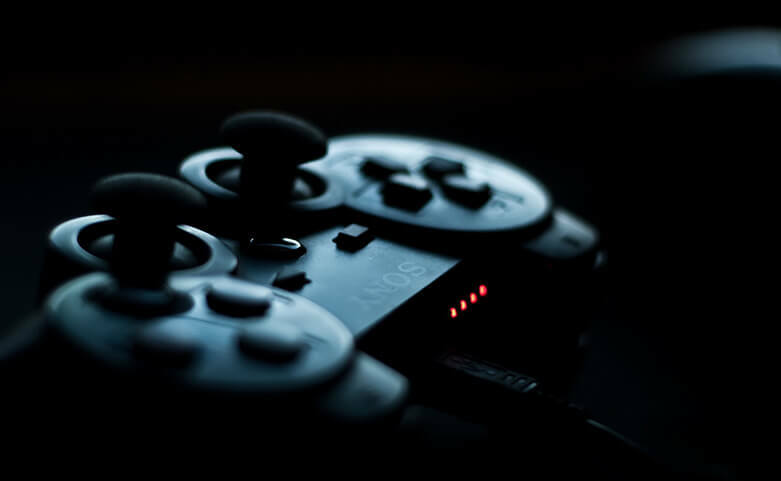 We are confident that dubbing bestselling video games into the Arabic spoken language and marketing it to Arab video game savvies is becoming the trend in the region and drive investors to sign up on a successful business plan. The fact that there is still few companies that have taken such an approach to video game so far should put DeafCat Studios ahead of the competition and allow us to hit the Arab market with consistent and fresh products. With an appropriate online marketing campaign, the final product ought to be picked up in all retail stores across the region and available to be purchased online. Reach more than 300+ million Arabs with your localized video game. Our team have developed this specific skill to cater to your request no matter how complicated it might be. Contact us today to learn more. i am on a mission to bring the development studios into making arabic dub and subs. do you know how many games have actually gotten that treatment? Hi Mahmoud, I’m not sure about the number of games that got treatment, but i can see more and more game developers are investing in localizing their video games into Arabic. We at the studio have worked on more a bunch of them and we are constantly getting more projects of the sort. Hello, and good day to all of you. I am a self-taught voice actor from Kuwait and I enjoy standing behind the microphone; expelling my emotions wholeheartedly towards the whole world! Is there any possible way to apply for DeafCat Studios? I would appreciate any form of feedback. God Bless!